Forge founder and CEO Kim Lee wants to fill a void in the Magic City. 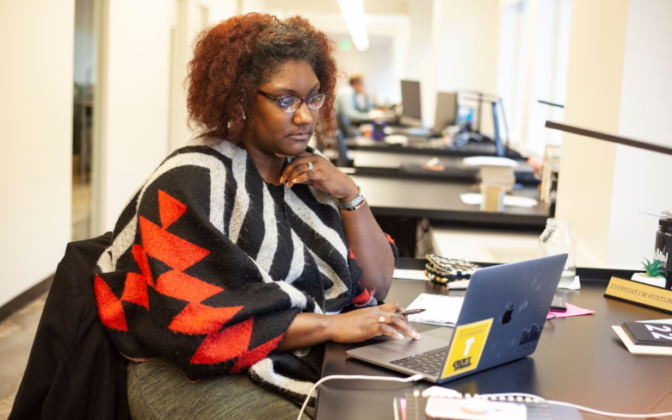 There have long been co-working spaces in larger cities across the nation, but there were none in Birmingham—until now. 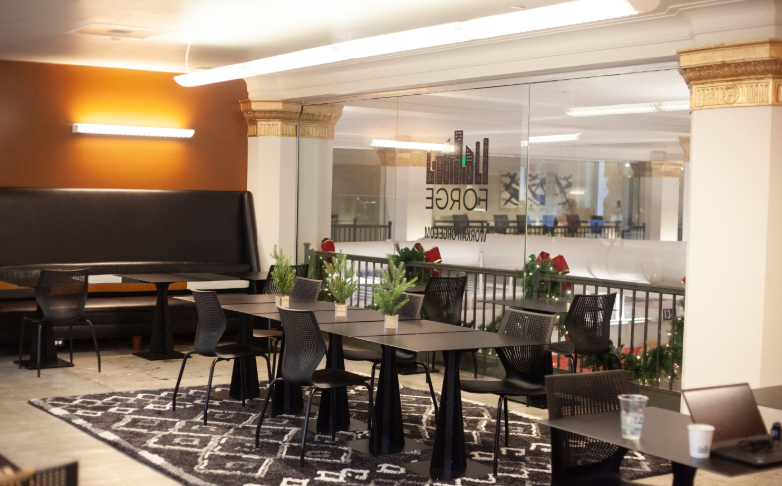 Located on the mezzanine level of the refurbished downtown Birmingham Pizitz Building, Forge includes both open and enclosed office spaces, a kitchen and some meeting rooms for professionals who want to start something they love. More than 120 members have already joined. Forge’s cost-efficient space gives people an option to start a business, “be professional, and meet with clients without having to pay $1,000 a month for an office, where you’re isolated,” said Lee, 38. 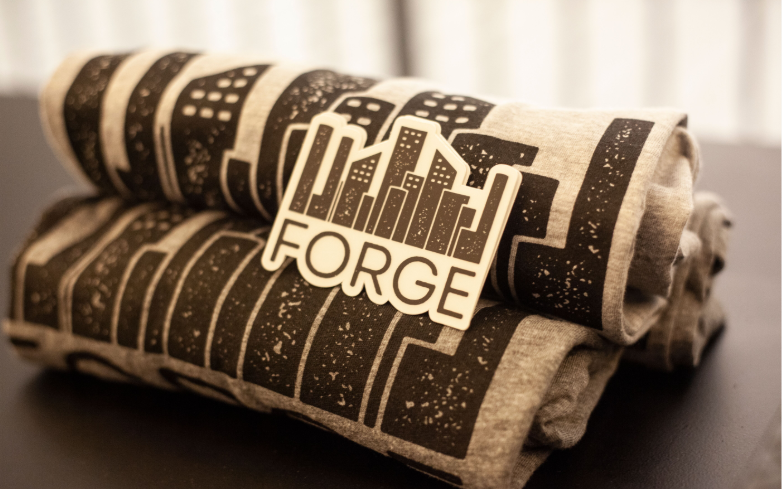 Forge has become a go-to spot for people in the midst of growing start-up businesses. One reason: the flexibility. 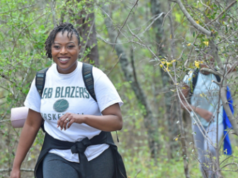 Forge also offers community, said Lee, who is from Knoxville, Tenn., and moved to Birmingham more than 15 years ago to attend Samford University. Forge does not have a target demographic because a mix of ages allows everyone to learn from one another. 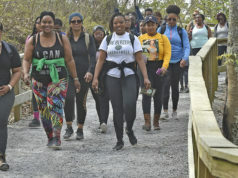 “There’s just the benefit of having a huge network that grows, especially if you’re self-employed, a remote worker, or an entrepreneur [and] your job is not going to connect you with other people,” she said. Even Forge’s location helps those who want to start their own businesses. It overlooks the Pizitz Food Hall and features panoramic views of the city’s central downtown district. Breakfast, lunch, dinner, and even happy hour are never far away. 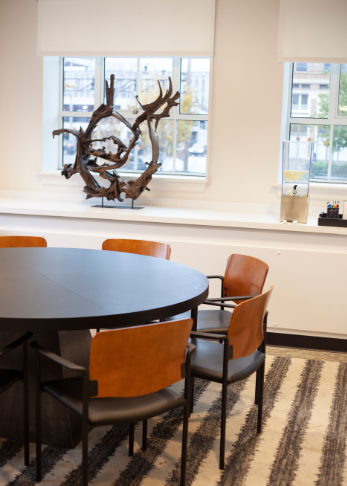 Every meeting room is equipped with a complimentary whiteboard, LED screen, HD display, and business-class Wi-Fi; screens and projectors are HDMI and Apple TV compatible. The Pizitz Building attracts hundreds of people daily for food, shopping, and fellowship, while Forge attracts entrepreneurs for work and play. 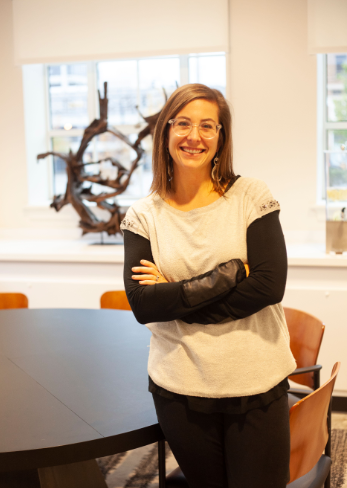 “What’s also cool about being in the Pizitz Building is, back in the day when it was a department store, it was bringing people from all different walks of life, all different ages, all different parts of the city together. It was a place that brought people together. I feel like with us and the food hall, it’s doing it again,” said Lee. 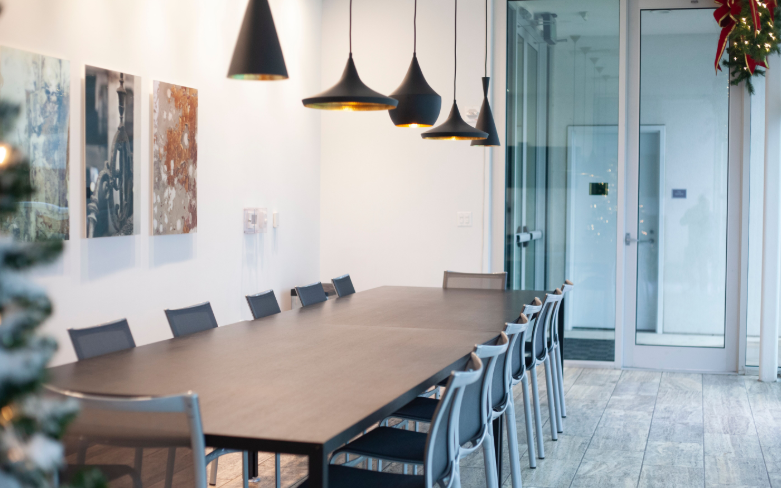 Forge hosts monthly Lunch and Learns with some of the city’s top professionals and experts; these events are typically open for public registration. Lunch and Learns include a lawyer who comes in once a month, as well as accountants and other professionals who come in to talk about marketing, such as how to use Instagram for business and Facebook videos. 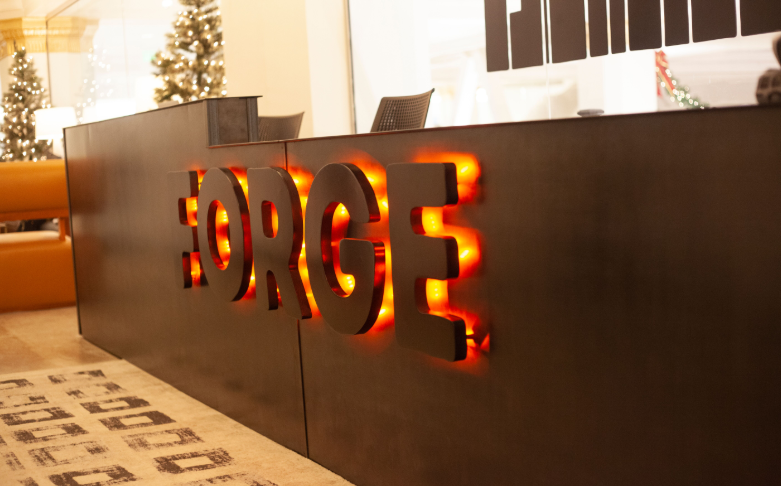 “Our [recent] one was about how to prioritize your work and set your goals in life, and how your work should reflect those goals every day,” said Lee, adding that Forge has helped improve the business ecosystem in Birmingham. Mountain Brook resident Lee and her husband, Murray, have three children, but Lee emphasizes that Forge is not a mommy-goes-back-to-work project. “There has to be a need . 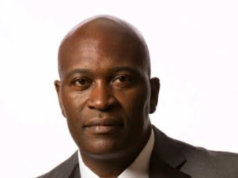 . . and we really want to make Birmingham a better city,” Lee said. “I feel that if people have a place to work and are starting jobs and starting companies, that creates jobs for people, which will … filter down [and generate more money for] our economy, which will trickle down to other people. For more information or make a reservation, visit workatforge.com, call 205-870-7558, or send an email to info@workatforge.com. To read about The Residences at The Pizitz, click here.